Daily Debate: Which Location From a Previous Zelda Game Do You Wish Was In Breath of the Wild? 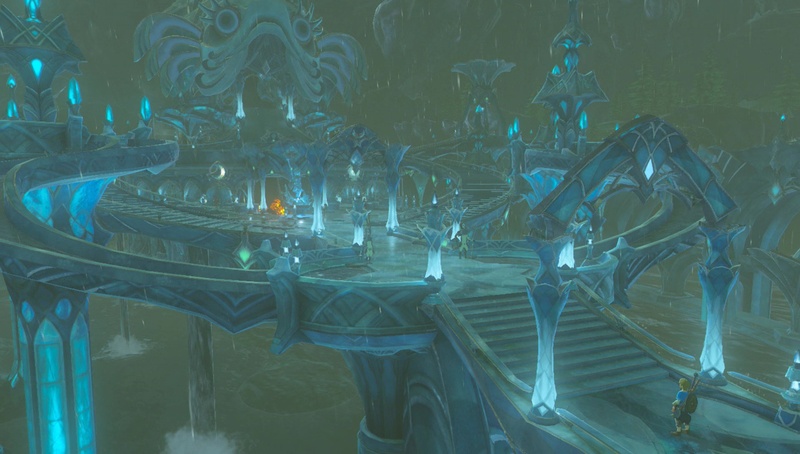 Breath of the Wild brought its fair share of iconic Zelda locales back to the series, some of which had been dormant for more than a decade. From Zora’s Domain to a proper Death Mountain — complete with elderly Gorons! — to even Gerudo Desert, Link’s latest adventure included almost every location a Hyrule aficionado could ask for. Almost every location — as much as Breath of the Wild brought to the table, the greedy side of me can’t help but wish for just a few more tourist spots. I particularly would’ve loved to have seen its iteration of the Twilight Realm. Depending on the game’s timeline placement, it might have had some explaining to do in regards to how we’re able to travel there, but I still maintain that that’s a place with a ton of untapped potential. Even a small village within the alternate dimension would’ve gone a long way — just something to give us a better sense of the Twili’s society and culture, especially after Gerudo Town did such a stellar job at that. What about you, though? Is there any absent location you wish had been in the game? How about a trip to Skyloft or City in the Sky? Were you hoping to explore a Minish village? Let us know in the comments below!